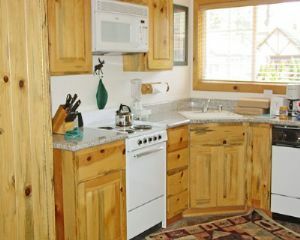 Buy or sell a Lake Tahoe timeshare and enjoy all the beauty and elegance the area has to offer. Amazing activities, beautiful scenery and excellent accomodations. What else could you want in a vacation? Whether its winter, spring, summer, or fall, your Lake Tahoe timeshare offers top notch attractions for all members of the family. Buying a timeshare is always a decision that should not be taken lightly. Location, surroundings, and offerings are always something you should strongly consider before buying a timeshare. The great thing about buying a Tahoe Vista timeshare is that you will meet or exceed all your expectations for each consideration. 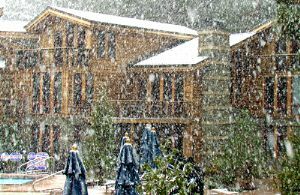 Your Tahoe Vista timeshare is often referred to as the "jewel of the Sierra Nevada". 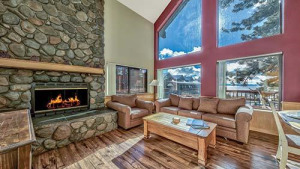 The fresh mountain air and uncanny views are just a few of the perks you encounter when you buy a Lake Tahoe timeshare. If you chose to vacation at Lake Tahoe during the winter months, make sure you bring your skis. After all, the surrounding area gets on average more than 600 inches of snow each year. This abundance of fresh powdery snow makes for some of the best skiing and snowboarding conditions around. If you want to get out and get some great exercise along with some amazing sights, you can always take advantage of the multiple cross-country ski trails as well. Another way to spice up your vacation is to rent snowmobiles and fly across the snow at speeds upwards of 60 miles per hour. Ice skating is another fun activity that is fun for the whole family. Where most vacation destinations have to close down during the winter months, Lake Tahoe thrives. The myriad of wonderful winter options are available to people of all ages. Spring and summer are another great time to vacation at your Tahoe Vista timeshare. Two of the more popular activities available are hiking and biking. The area that surrounds Lake Tahoe is nature at its best. This gorgeous and breathtaking landscape is loaded with a plethora of scenic trails which allow you to escape the city life and truly appreciate Mother Nature's work. Water sports and activities reign supreme in this area as well. Spend the day out on the water with your entire family when you rent a boat. Take that father-son fishing trip that you have always dreamed about. You can rent canoes, and kayaks and enjoy a calming day out on the water all while getting in some much needed exercise. If you're looking for a little more adventure, you can try parasailing for a small fee. Fly high above the water as you are pulled by a boat and enjoy some incredible views from an angle most people don't get to see. Now that you have decided you want to buy a Lake Tahoe timeshare, you need to do some research to decide on a resort. Red Wolf Lakeside Lodge is just one timeshare to consider. This five star resort offers you the utmost in comfort and pampering. Many amenities are available to timeshare owners, including an outdoor heated pool. Tahoe Sands Resort is yet another option for sale. Guests can choose from cabins, suites, and studios depending on the size of their family. Edge Lake Beach Club is another top notch resort for sale. Overlooking 240 feet of sandy beaches, this location is a true gem. Jacuzzi's, heated outdoor pools, and spacious rooms are just the tip of the iceberg. We are confident that you will be happy with whichever timeshare you choose to purchase. While each is unique in its own way, they all offer world class service and accommodations, thus ensuring you and your family have the vacation of a lifetime. of snow each year. This abundance of fresh powdery snow makes for some of the best skiing and snowboarding conditions around. If you want to get out and get some great exercise along with some amazing sights, you can always take advantage of the multiple cross-country ski trails as well. Another way to spice up your vacation is to rent snowmobiles and fly across the snow at speeds upwards of 60 miles per hour. Ice skating is another fun activity that is fun for the whole family. Where most vacation destinations have to close down during the winter months, Lake Tahoe thrives. The myriad of wonderful winter options are available to people of all ages.